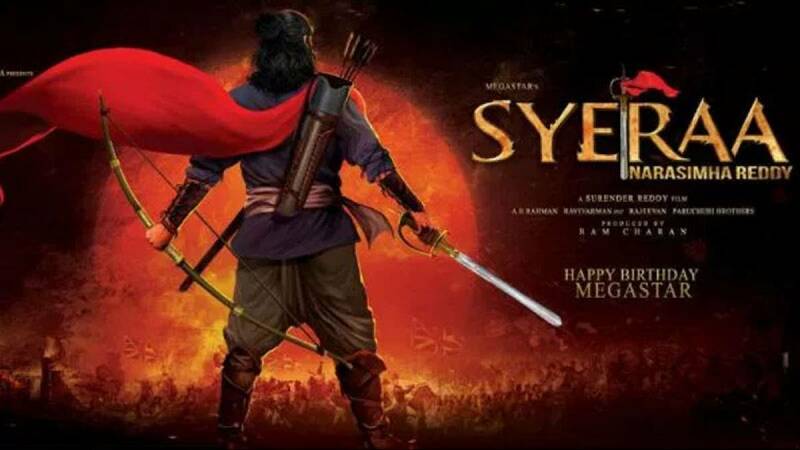 Hyderabad : Megastar Chiranjeevi's upcoming Telugu film has been titled "Sye Raa Narasimha Reddy", it was announced on Tuesday on the occasion of his birthday. The title logo and motion poster of the film was released by filmmaker S.S. Rajamouli here at an event on the special day of Chiranjeevi, who turned 62. The film, to be directed by Surender Reddy and produced by Ram Charan, will be based on the life of freedom fighter Uyyalawada Narasimha Reddy. It has been confirmed that the film will also stars Amitabh Bachchan, Kichcha Sudeep, Nayanthara, Vijay Sethupathi and Jagapathi Babu. Double Oscar-winning A.R. Rahman has been roped in to compose the music. Ravi Varman will crank the camera, while Rajeevan will take care of the art department.